Crochet lace is one of those trends that's perfect all year long. Our Sienna Crochet Lace Top is a great staple item to pair with a maxi skirt, wide leg pants or denim. 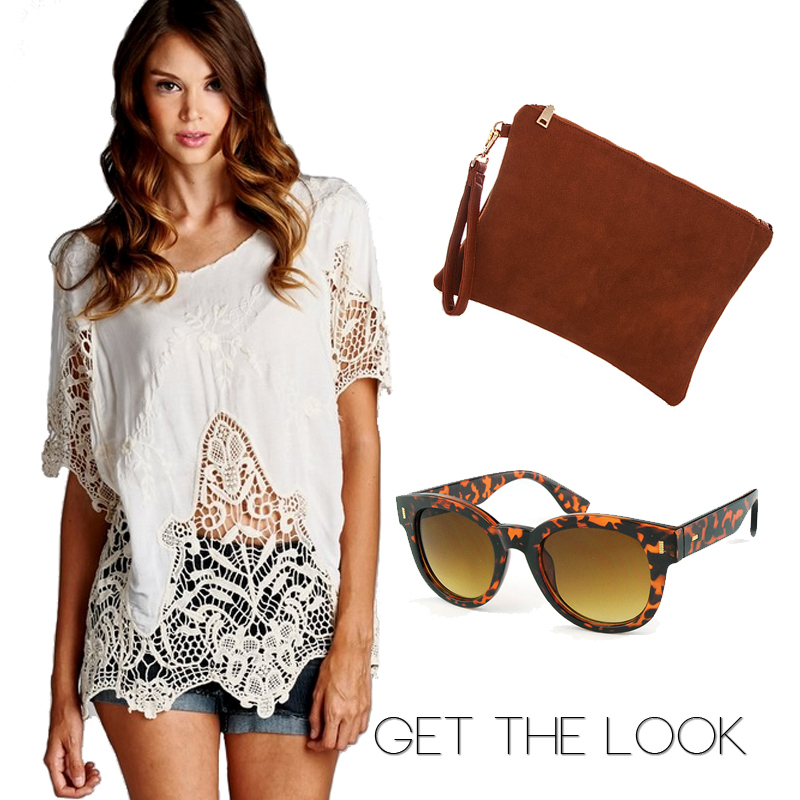 We've paired the look with our Joni Suede Wristlet and St. Tropez Sunglasses. This look is perfect for any boho babe!